This year I am very tempted to buy an iPhone again. 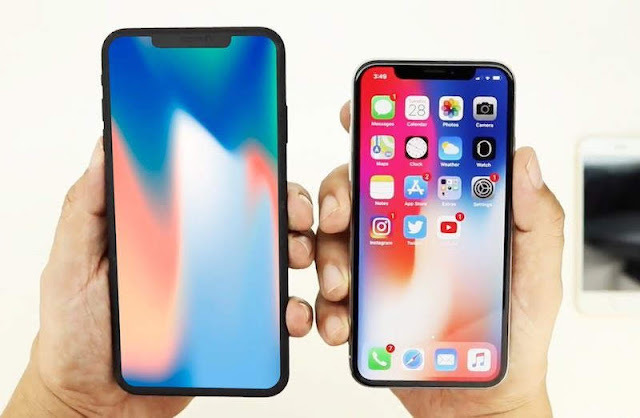 The rumoured 6.5-inch iPhone X Plus. You all know that I think a 6.5-inch display is the perfect size for me, the perfect pocket computer. And why not try the iPhone X Plus this year then? I mean, I already have one of the best phones on the market, the Samsung Galaxy S8+. I will of course carry two phones. One iPhone and one Android phone. But to make the iPhone be my main phone, my main computer, iOS and the iPhone X Plus needs to be able to do 10 things. Check them out below. I found out that the iBooks app (soon be called Apple Books), supports audiobooks stored locally on your phone. But you have to use a file syncing in iTunes. You also need to change the media type from music to Audiobook for it to work. There are also some apps in the App Store that can play files locally stored. Not many that are nice looking though. But there is one that is called Bound that looks great. So this demand is basically solved. Moon+ Reader Pro for Android is in a class of its own when it comes to reading ebooks on Android. And it works great with the speedreading technology that I use to read around 50 books every year. I read visually at the same time as listening using Text To Speech. That way you can listen in 2X or even 3X speeds. Personally, I manage to read 450 words per minute this way, with full comprehension. This was harder to find a solution for on iOS, but iBooks (soon be called Apple Books) worked OK if you use VoiceOver support while reading. And also the excellent Voice Dream Reader app can do this, but with that app, the text is just plain text with no formatting. Doesn't look so good, unfortunately. So this demand can be fulfilled but not as good as on Android. I need to easily get to my files stored on computers and file servers. I desperately need that, so this has to work. I also need to move, copy and delete files there. I found the app File Explorer Pro. It seems to be able to do all this. I have only tried the free version yet though. So this demand is basically solved. Hopefully. I use Plex Media Server on one of my computers, so I need to play those movies on my TV via Chromecast, and the Plex iOS app works great for that. Sometimes the subtitles don't work so good though so I need another app as a backup, and I think VLC player can download and sync subtitles from Opensubtitles on iOS too. Haven't tried that though. And I'm not sure that VLC support Chromecast on iOS. So this demand is basically solved. At least the first part. This I know works great on iOS. Because I did that a lot the last time I used an iPhone. iMovie is even free. But there are a few other great apps too. So this is definitely solved. I used the app Just Press Record to record audio the last time I had an iPhone. I haven't looked if that app is still around, but this is quite an easy task so there will always be an app for that. And Apple even includes a really simple voice recorder in iOS. So I don't think this will be a problem. So we can say it's solved. I write articles in Markdown markup language, and Markdown is something that is excellent on iOS and Macs. Terrible on Android and Windows. So this is no problem at all actually. There is plenty of apps to choose from. Ulysses, IA Writer, Editorial and many more. I prefer Dropbox syncing over iCloud syncing though. Most apps have both as an option. So this demand is definitely solved. Screen mirroring will be tough to solve because I don't have an Apple TV. And I don't want one either at the moment. I have a Chromecast Ultra. But I need to mirror the complete screen sometimes. It's very easy to do on Android. Especially with a Samsung phone. You just click Smart View and the complete screen mirrors to the TV. There is no way that I can find, that makes it possible to do the same on iOS without an Apple TV. That's really bad. So this demand is not solved and I am forced to use my Android phone in those cases. This is very easily solved. There is a lot of great podcast apps available for iOS. And I own one of the best: Overcast. And even Apples free Podcast app is quite ok. So this demand is solved. I need TextExpanding features while writing. I simply can't be without it. And I own a version of TextExpander for iOS, but they have now gone over to use a subscription-based model and I will never pay a monthly or yearly fee for all the apps I want to use, so it's a no go. So the problem is that I don't know if the old version of TextExpander I own will work on iOS 12 and forward. There is also another solution to this problem, and that is that one of the best Markdown text editors on the planet, called Editorial has a kind of TextExpanding feature built in. But that means that I always need to use that app to write my articles. So at the moment, this demand is only partly solved. So as you can see, there is some stuff I need to be able to do on my phone, my main computer. But it doesn't seem to be too much problems to use an iPhone anymore. So it could be doable. I will wait and see what Apple will present on their even before I decide. Will you be buying one of these this year or shall you be getting the Note 9 or waiting until the S10 next year?